All cakes need a topper that helps express the personalities of both the bride and groom while also tying together the theme and decor of the day. Because of this, there are many inexpensive types of traditional toppers that can be absolutely perfect. The wedding is a day of celebrating both the bride and groom, which means showing off their brand new monogram. Along with the topper, the monogram can be incorporated into the customization of the cake as well. 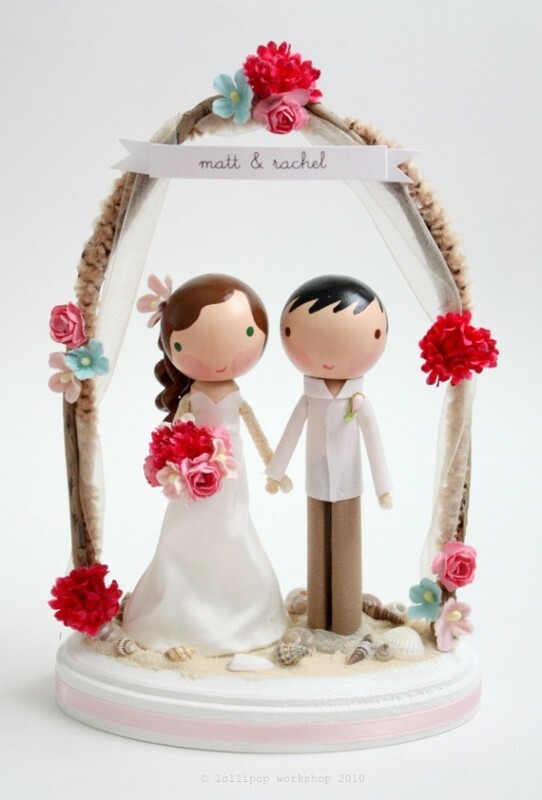 Since the topper shouldn't have to be directly on the cake and potentially fall over or ruin the cake before it can be eaten, there is the need for a customized wedding cake topper base. 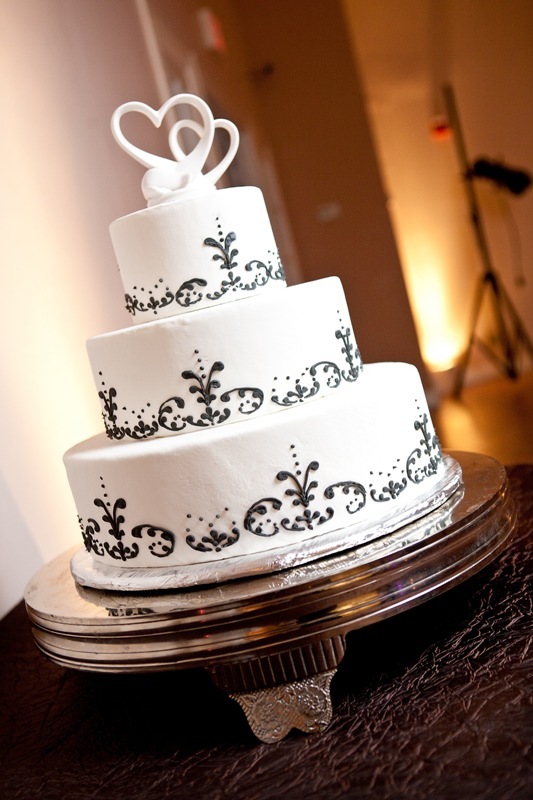 It can add height to the wedding cake and a touch of personalization everyone expects from such a memorable day. If the couple prefers not to have the common type of wedding cake topper, there are always wedding cake glass block toppers that can be personalized with the couple's names, when they got engaged, or the actual date of the wedding. Speaking of not using the typical bride and groom as the wedding cake topper, why not change it up with couples of cats, dogs, birds, or even the couple's favorite animals to make it very personalized? All of these options can be very inexpensive and are perfect for a quirky destination wedding. Even the cake can be included into the decor and theme of a destination wedding, especially when there are destination wedding cake toppers that are affordable and can be highly customized for the perfect fit. Seashells, wild flowers, Fleur-de-lis, and other designs can be included. What's more personalized than a wedding cake topper that shows the happy couple together in one of their favorite photos? 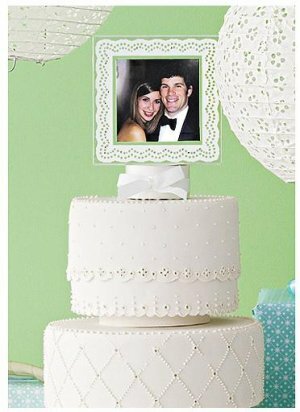 A topper photo frame can be used for an intimate, personal wedding to really make the cake truly unique. For the couple still children at heart, there are inexpensive Disney-themed toppers that can be customized with monograms and other decorations for the perfect fit. Mickey, Minnie, and the Disney princesses are all available as toppers. Make it truly last a lifetime with an engraved topper made out of gold or silver with the names of the couple and the date of their wedding. This can also be perfect as a topper base with a customized topper. Is it going to be an all-out destination wedding to the beach or countryside? How about a wedding on Halloween or another special holiday? Regardless, a themed wedding cake topper can be created to really capture the moment. 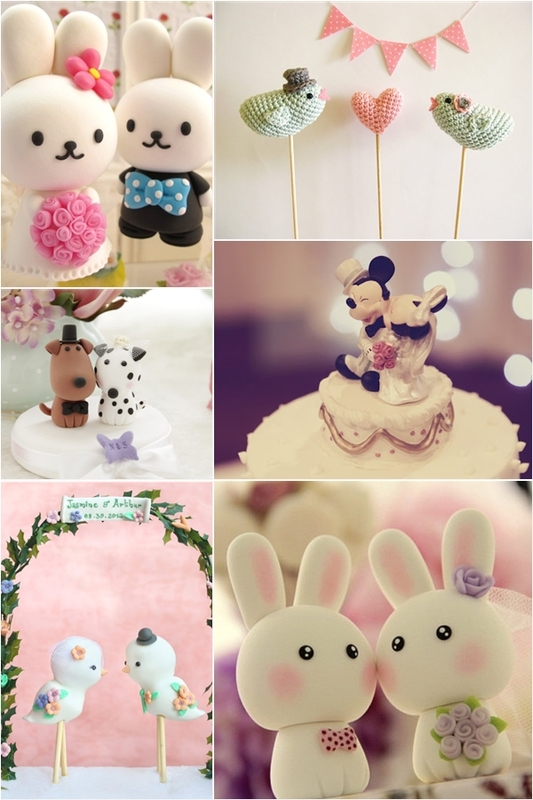 Just like the rest of the decorations and theme, the cake's design and topper need to be customized as well. 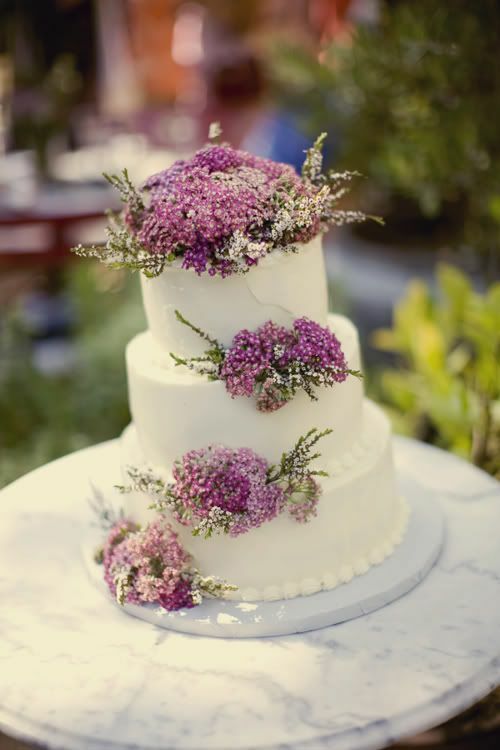 Fortunately, these are all inexpensive ways to have an unforgettable and highly personalized wedding all the way down to the food and cake.